Poland for the creation of a new European Energy Union. The EU must create an energy union to secure its gas supply because the current dependence on Russian energy makes Europe weak, Poland’s prime minister, Donald Tusk, wrote in an article in the Financial Times. Russia, which provides around one third of the EU’s oil and gas, sent shockwaves through the international community with its military intervention and annexation of Ukraine’s Crimea peninsula in March. Tusk noted that the EU was creating a banking union, with a single supervisor, and a single resolution mechanism and fund to close down failing institutions. The EU was also already jointly buying uranium for its nuclear power plants. The approach to Russian gas should be the same,. “I therefore propose an energy union. It will return the European Community to its roots,” EU precursor the European Coal and Steel Community was formed in 1952. Such a union should be based on several elements, he explained. The first of these would be the creation of a single European body that would buy gas for the whole 28-nation bloc. Another would be that if one or more EU countries were threatened with being cut off from gas supplies, the others would help through “solidarity mechanisms“. The EU must also help finance gas storage capacity and gas links in the countries most dependent on gas sold by the state-owned Russian gas monopoly Gazprom. The energy union would also seek agreements to buy gas from exporters outside Europe, such as the United States or Australia. It could be transported to Europe by ship in liquefied form. “Today, at least 10 EU member states depend on a single supplier – Gazprom – for more than half of their consumption. Some are wholly dependent on Russia’s state-controlled gas giant,” Tusk said. 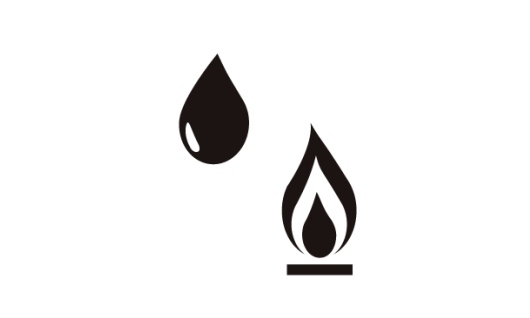 Another element was the full use of the EU’s existing fossil fuels, including coal and shale gas. “In the EU’s eastern states, Poland among them, coal is synonymous with energy security. No nation should be forced to extract minerals but none should be prevented from doing so – as long as it is done in a sustainable way,” Tusk said. В Одессе на Куликовом поле проголосовали за создание республики “Новороссия“. А народным президентом Одесской Новороссийской Республики избрали Валерия Каурова. 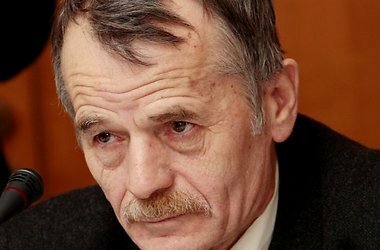 Глава Союза Православных граждан Украины Валерий Кауров обратился к собравшимся на Куликовом поле одесситам по скайпу, т. к. был вынужден уехать из города из-за угрозы ареста. Новоорбразованное федеративное государство призвано стать дружественным Российской Федерации. Так же было объявлено, что Одесская Новороссийская Республика признает Луганскую, Донецкую, Харьковскую и Карпаторусскую Народные Республики. Звучали призывы повсеместно утверждать и использовать историческое название 8-ми юго-восточных областей – “Новороссия”, которые лишь в начале прошлого века были подарены УССР большевистским правительством. Владимир Путин на днях и сам поминал новороссов. В ходе “прямой линии” он невзначай заметил, что данный регион по сути украинским никогда не был, лишь в 1920-е годы с подачи большевиков эти области перешли к УССР. “Харьков, Луганск, Донецк, Херсон, Николаев, Одесса не входили в состав Украины в царские времена, это все территории, которые были переданы в Украину в 20-е годы советским правительством, – заявил Путин. – Это все происходило после побед Потемкина и Екатерины II в известных войнах с центром в Новороссийске (нынешний Днепропетровск)”. Материалы от malorossia.info и MK. Вице-президент США Джо Байден «Если это удастся, Россия проиграет». Депортировать Джемилева – значит взорвать Крым. Насчет Мустафы Джемилева хочу вот что сказать ради полной ясности. Если все это безумие с его депортацией из Крыма в год 70-летия сталинской депортации – правда, то, видимо, на самом деле кто-то чего-то не понимает. Крымские татары внесут Мустафу-ага в Крым как угодно, хоть на руках, взявшись за руки, окружив десятками тысяч человеческих тел, внесут через любые кордоны и границы. 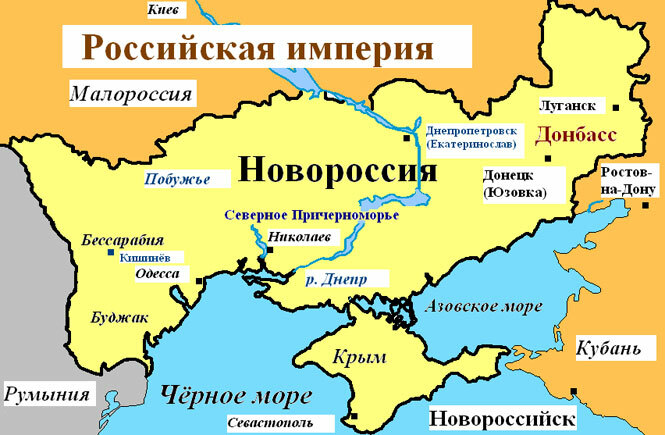 Пойдут встречать его всем Крымом, перешагнут через все блокпосты. Не потому, что они экстремисты, – татары всегда придерживались принципа ненасильственного сопротивления, заложенного Джемилевым и его соратниками, хотя натерпелись много несправедливости и зла. А потому, что депортация хоть одного крымского татарина, тем более Мустафы Джемилева, всемирно признанного борца за возвращение нашего народа на родину, – по степени унижения равна депортации каждого из нас. Или, если угодно, это все равно, что ударить моего ребенка, осквернить могилы моих родных. И тогда – стреляйте, убивайте, делайте, что хотите. Это кому-то надо? Ну, тогда делайте, зная, на что идете. “The Geneva meeting on the situation in Ukraine agreed on Initial concrete steps to de-escalate tensions and restore security for all citizens. All sides must refrain from any violence, intimidation or provocative actions. The participants strongly condemned and rejected all expressions of extremism, racism and religious intolerance, including anti–semitism. All illegal armed groups must be disarmed; all illegally seized buildings must be returned to legitimate owners; all illegally occupied streets, squares and other public places in Ukrainian cities and towns must be vacated. Ukraine: Misinformation, propaganda and incitement to hatred need to be urgently countered – UN human rights report. GENEVA (15 April 2014) – Misinformation, propaganda and incitement to hatred need to be urgently countered in Ukraine to avoid the further escalation of tension in the country, according to a UN human rights report* issued on Tuesday. The report by the Office of the High Commissioner for Human Rights looks at the root causes of the protests that have taken place since November 2013, including corruption and widespread economic inequality, as well as the lack of accountability for human rights violations by the security forces and weak rule of law institutions. It also assesses the human rights situation in Crimea, including in the context of the 16 March referendum, and makes recommendations for the way forward. “It is critical for the Government to prioritise respect for diversity, inclusivity and equal participation of all – including minorities – in political life,” said UN High Commissioner for Human Rights Navi Pillay. “Facts on the ground need to be established to help reduce the risk of radically different narratives being exploited for political ends. People need a reliable point of view to counter what has been widespread misinformation and also speech that aims to incite hatred on national, religious or racial grounds,” she added. The report, which is based on information collected during two missions to Ukraine in March by Assistant Secretary-General for Human Rights Ivan Šimonović and a team of UN human rights monitors on the ground since 15 March, analyses events up to 2 April. It also anticipates and draws parallels between what happened in Crimea and events currently unfolding in eastern Ukraine. Excessive use of force by the Berkut special police and other security forces led to the radicalisation of the protest movement, the report found. “Violations related to the Maidan protests should be investigated and addressed in order to ensure accountability of perpetrators,” the report states. Information gathered so far indicates that 121 people were killed in violence between December 2013 and February 2014. Most acts of severe beatings, torture and other cruel, inhuman or degrading treatment were reportedly attributed to the Berkut. The political aspects of recent developments in Crimea, which Mr Šimonović visited on 21 and 22 March, are beyond the report’s scope. However, the report notes that the situation created before and after the referendum of 16 March, which the General Assembly concluded had “no validity”, raised a number of human rights concerns pertaining to freedom of expression, freedom of assembly and other civil and political rights. The presence of paramilitary and so-called self-defence groups as well as soldiers without insignia, was not conducive to an environment in which the will of voters could be exercised freely, and the UN Human Rights’ Office delegation received many reports of vote rigging. “A number of measures taken in Crimea are deeply concerning from a human rights perspective,” the report says. These include the introduction of Russian citizenship, making it difficult for those who opt to maintain their Ukrainian citizenship to stay in Crimea. “The current situation also raises concerns with regard to land and property ownership, wages and pensions, health service, labour rights, education and access to justice,” the report adds. The authorities in Crimea should also publicly condemn all attacks or harassment against human rights defenders, journalists or any members of the political opposition, the report urges, and ensure full accountability for such acts, through prompt, impartial and effective investigations and prosecutions. It is widely assessed that while there were some attacks against the ethnic Russian community, these were neither systematic nor widespread. There are also allegations that some participants in the protests and clashes in eastern Ukraine were not from the region, and that some had come from the Russian Federation. “What is clear from our findings is that there is an urgent need to ensure full respect for the rule of law and human rights in Ukraine and thus guarantee the enjoyment of all human rights for all, including minorities,” Pillay said. Ensure accountability for all human rights violations committed during the unrest. Ensure inclusivity and equal participation in public affairs and political life. Prevent media manipulation by issuing timely and accurate information. Implement as a matter of priority measures to effectively eradicate corruption. Actively resolve cases of missing persons, grant access to places of detention. Take all measures needed to protect the rights of persons affected by the changing institutional and legal framework, including citizenship. Investigate all allegations of hate speech and media manipulation. Ensure the protection of the rights of all minorities and indigenous peoples. Regular reports shall be issued by the Human Rights Monitoring Mission in Ukraine (HRMMU), with one forecast for 15 May that will examine in greater depth the situation in eastern Ukraine. НАТО. Обвинения России: расставим точки над «и». Czech Republic, Temerlin tender cancelled. The Czech energy giant ČEZ cancelled a tender on two new nuclear reactors at the Temelín nuclear power plant. The deal – estimated as worth hundreds of billions of crowns – was shelved a day after the government stated it would not offer any state guarantees in the project. There were two remaining bidders in the deal, the US-based Westinghouse and Russian-led consortium MIR 1200, who have been left empty-handed. The problem is represented by the state guarantees. The government has just decided it was in no position to provide them at a time when electricity prices were too low and the electricity sector too turbulent. Many observers agree that it would have been a risky proposition to promise them. That doesn’t mean nuclear power in the future won’t be an option, but certainly the government will have to go back to the drawing board to decide on how to proceed next time. The original tender was problematic because ČEZ is 70 percent state owned while 30 percent is owned by minority shareholders. They could have protested the deal as too risky if it had gone ahead, with too many intangibles over the next 10, 20 or 30 years. Восточная Украина: Донецк, Харьков и Blackwater. Как передает МК, штурма здания Донецкой областной администрации, занятого митингующими, во вторник не будет, заявил назначенный Верховной радой вице-премьером Виталий Ярема, который в понедельник был отправлен в Донецк “для координации деятельности силовых структур”. По его словам, такое решение было принято по итогам переговоров с представителями активистов, находящихся в здании администрации, передает ИТАР-ТАСС. Как отмечают местные СМИ, в переговорах также принял участие украинский олигарх Ринат Ахметов. Вместе с тем, речь может идти лишь об отсрочке силовых действий, необходимой Киеву, чтобы собраться с силами. Согласно информации МИД РФ, в юго-восточные районы Украины, в том числе в Донецк, стягиваются подразделения внутренних войск и национальной гвардии Украины с участием боевиков незаконного вооруженного формирования “Правый сектор“. По словам МИДа, они призваны подавить протесты жителей юго-востока страны против политики киевских властей. “Особую тревогу вызывает то обстоятельство, что к этой операции подключены около 150 американских специалистов из частной военной организации “Greystone“, переодетых в форму бойцов подразделения “Сокол”, — говорится в сообщении российского дипломатического ведомства. МВД Украины провело в Харькове анонсированную накануне “антитеррористическу операцию”, направленную на пресечение сепаратистских настроений в юго-восточных регионах страны. “Началась “антитеррористическая операция”. Центр города перекрыт. Не волнуйтесь. Завершим – откроем”, – цитирует ИТАР-ТАСС заявление главы милицейского ведомства Арсена Авакова. Ранее на восток Украины были переброшены дополнительные спецподразделения милиции из других частей страны (в соцсетях между тем ходят слухи даже о присутствии в рядах силовиков американских наемников из печально известной фирмы Blackwater, ныне называемой Academi, изрядно оскандалившейся за время иракской кампании; украинские власти ранее не исключали обращения за помощью к иностранным экспертам, однако официальных сведений о приглашении в страну наемников не поступало. “Эти спецподразделения готовы решать оперативные задачи без оглядки на местные нюансы”, – приводит слова Авакова пресс-служба ведомства. Как пишет МК, Blackwater USA была основана в 1997 году бывшим офицером спецназа ВМС США27-летним Эриком Принсом и тренером по прикладной стрельбе Элом Кларком, как охранная компания, которая будет заниматься поддержкой и подготовкой военных и правоохранительных операций. Принс окончил колледж Хилсдейл и работал стажёром в Белом Доме, затем окончил Военно-морскую академию и служил в подразделении «Морские котики». Деньги на покупку первого тренировочного центра и создание компании он получил в наследство, завещанное отцом. Тогда он купил участок площадью 24 км² на границе штатов Северная Каролина и Вирджиния. В этой местности вода в озере имела чёрный цвет из-за большого количества торфа, так компания и получила своё название Blackwater (Блэкуотер), что в переводе означает «Чёрная вода». В 2002 году была создана компания Blackwater Security Consulting (BSC), сотрудники компании участвовали в войне в Афганистане. Сразу после падения режима Саддама Хусейна в 2003 году Blackwater появилась в Ираке, как одна из 60 охранных компаний, и стала заниматься обучением новых иракских вооружённых сил и полиции, а также поддержкой оккупационных сил. На момент вывода сил Blackwater из Ирака в стране присутствовало 987 наёмников, 744 из которых являлись гражданами Соединённых Штатов. Компания участвовала в Иракской войне до сентября 2009 года. 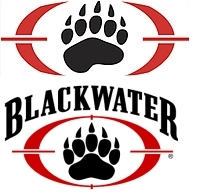 В октябре 2007 года Blackwater USA изменили название компании на Blackwater Worldwide и обнародовали новый логотип. В 2009 году основатель компании Эрик Принс ушёл с поста генерального директора, и в феврале Blackwater Worldwide официально сменила название на Xe, а также использует марку U.S. Training Center. Смену вывески связывают с чередой скандалов, сопровождавшей деятельность компании. Так, в апреле 2004 года небольшая группа наёмников из компании, вместе с отделением морских пехотинцев США, обстреляли 400 иракских гражданских лиц, которые протестовали возле штаб-квартиры Временной Коалиционной администрации в Ан-Наджафе. В 2006 году в зелёной зоне Багдада произошла автомобильная авария. Внедорожник, управляемый сотрудниками Blackwater, врезался в Хамви армии США. Сотрудники Blackwater разоружили военнослужащих и заставили их лежать на земле под дулом пистолета до тех пор, пока они не смогли отогнать свой внедорожник от места аварии. 24 декабря 2006 года сотрудник компании, злоупотребив алкоголем, застрелил охранника вице-президента Ирака, попав в него из пистолета Глок три раза. Наёмник, совершивший этот поступок, был уволен из компании и депортирован из страны, больше никаких санкций к нему не применялось. Компания стала печально знаменита в связи с инцидентом в сентябре 2007. 16 сентября 2007 года сотрудники Блэкуотер, охранявшие дипломатический конвой Госдепа США, на центральной площади Багдада устроили перестрелку, которая закончилась гибелью семнадцати и ранением восемнадцати мирных иракцев. По результатам всех расследований выяснилось, что служащие фирмы с 2005 года по 2007 год участвовали в 195 перестрелках и в 84 % случаев они открывали огонь первыми. Кроме того, Blackwater неоднократно подозревали в контрабанде оружия. Громким скандалом, произошедшим с охранной фирмой 9 марта 2010 года, стало расследование пропажи с американских складов в Афганистане более 500 автоматов Калашникова и другого оружия. 16 сентября 2010 года пятерым членам руководства Xe, включая исполнительного директора Гари Джексона, были предъявлены обвинения в незаконном обороте оружия. Rail Baltica from Poland to Baltic states goes ahead. The entire Rail Baltica line is supposed to pass through Poland, Lithuania, Latvia and Estonia, covering 950 km between Warsaw and Tallinn. As former parts of the Soviet Union, the three Baltic states still have railway tracks that are incompatible with the European ‘Standard Gauge‘, and the new line would be built according to the latter specifications. Although Poland already uses Standard Gauge, it would still need to upgrade its railway line from Warsaw to Trakiszki on the Lithuanian border so that trains can travel at high speed. According to Lithuanian Prime minister Algirdas Butkevicius, Polish government has ‘promised’ to carry out the upgrade, and the entire Rail Baltica line is due to be completed by 2024. Construction costs will be covered by the EU’s Structural and Cohesion Funds, as well as the budgets of the countries involved.